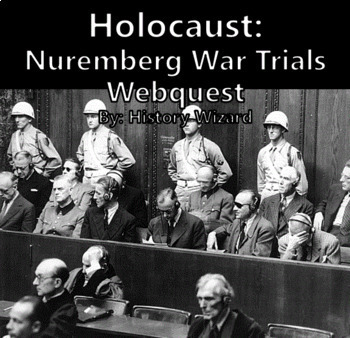 The webquest contains 24 questions and is a great way to introduce the Nuremberg War Trials or go into more depth on the Holocaust or World War II in general. 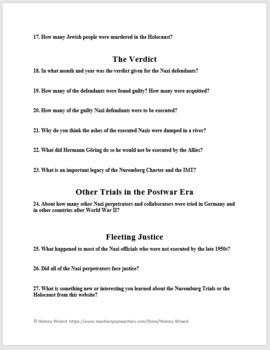 An answer sheet is included for the teacher. 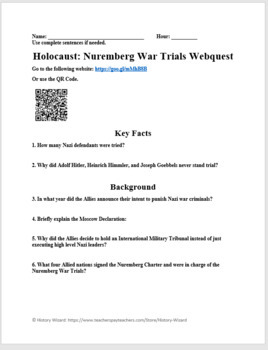 A QR code is included along with the traditional website link. The webquest will take most students at least 15 to 35 minutes to complete depending on their age. 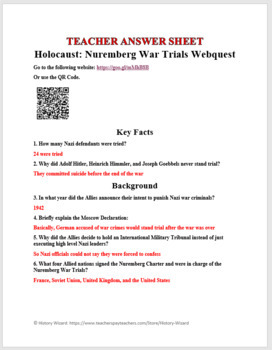 Feel free to modify this activity if needed to fit the needs of your students.